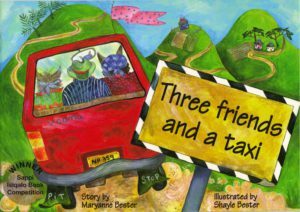 A large-paged, picture-book about three animals in bright modern clothes catching a taxi to town. A bumpy journey past plenty of African scenery. 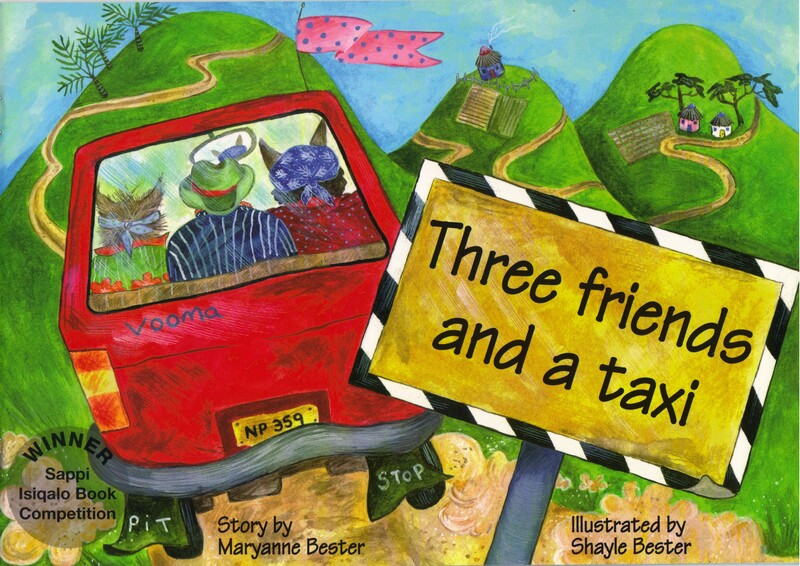 They pay different fares and that is why these animals have different attitudes towards taxis. Or so the story tells!